Yes, engineers can cook delicious meals. They just do it in their own way. Who is the best guide for cooking lessons for young nerds and geeks who may start college or university studies soon? Another person who sees the world in a similar way. 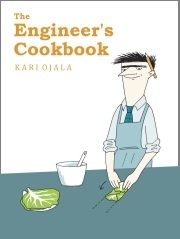 The Engineer’s Cookbook has been authored by an engineer, and intended to a fellow engineer. 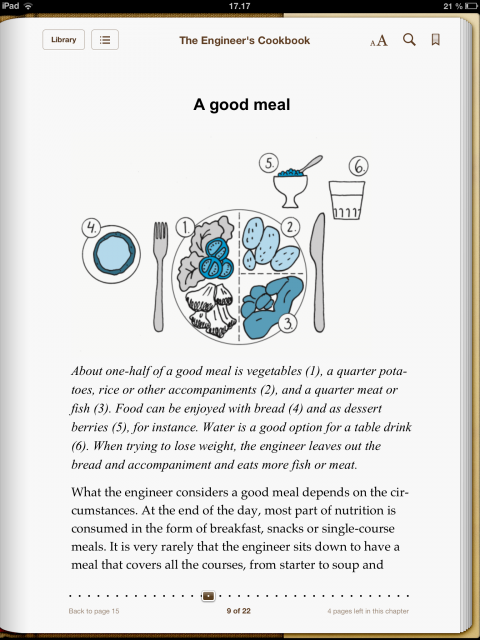 The book gives a systematic presentation of the principles behind the engineer’s cooking skills. It helps the engineer to see what is essential in food, to recognise his own strengths, and to adapt his skills to make good food. There is no such thing as add a little salt or pour some red wine into the kettle. 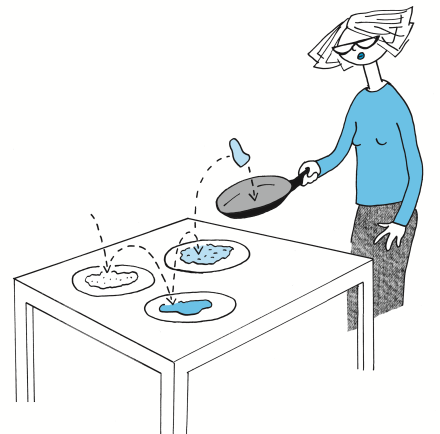 Measurements are precise for the engineer, also when cooking a dinner or lunch. For those not technically educated, the book offers an exhilarating insight into the inner life of the engineer – and dozens of practical and clearly-illustrated recipes that allow the rest of us – ordinary people – to prepare delicious food easily. ”The engineer is above all a rational being, whether it is stake, poultry, fish or vegetables that he prefers. ”It may seem that the engineer’s thought world is in this way somewhat strait-laced or neurotic. This is nonetheless not true. Deep down, the engineer is really quite relaxed. He has inner peace. He has thought things through and knows what is right. For that reason, he also knows to anticipate the outcome of each solution. This can of course annoy less confident individuals and the engineer does well not to always reveal the extent of his wisdom. 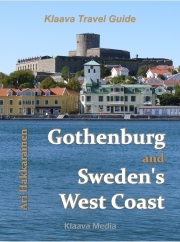 Download free sample chapters, and get the best price for the book here. 2017-09-04 by Klaava in Books, Cooking. Tags cookbook, engineer, geek, nerd.